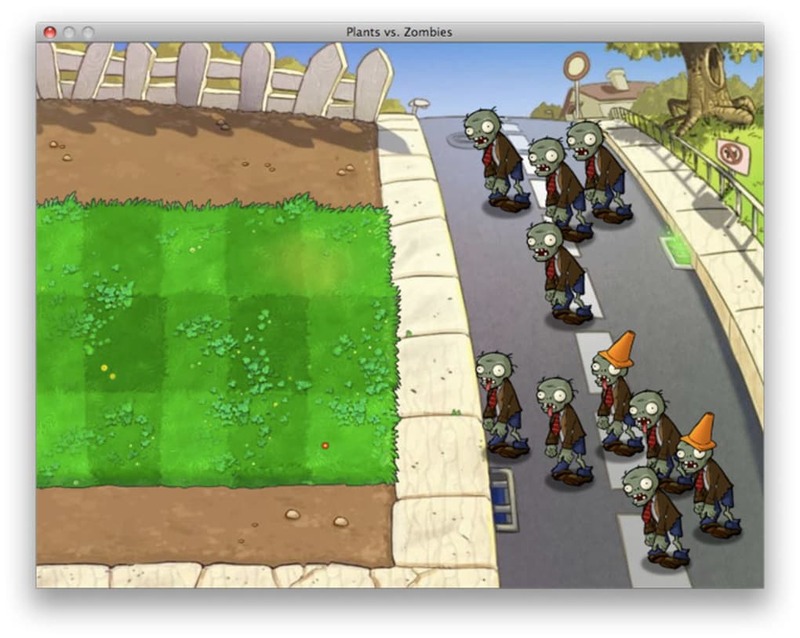 Just when you thought it wasn't possible to come up with any more variants on the zombie theme, up pops Plants vs. Zombies. 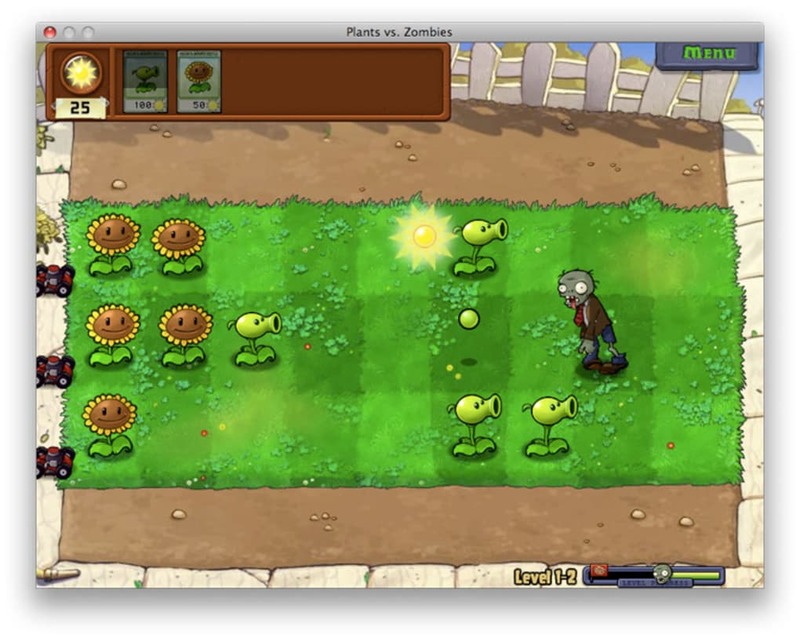 In Plants vs. Zombies you have to protect yourself from a "mob of fun-loving zombies" intent on invading your home. Your only defense is a collection of 49 lovingly-tendered, zombie-zapping plants. 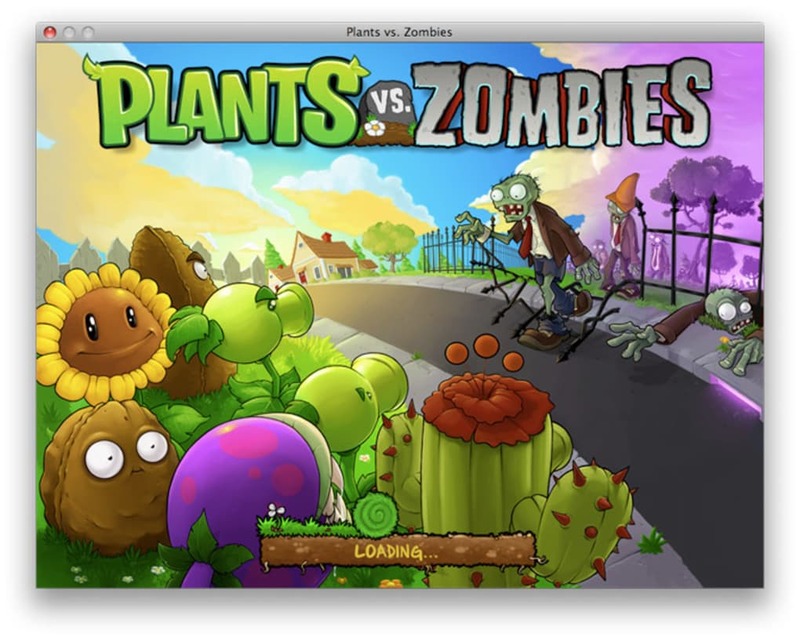 These are no ordinary plants though - they can use an array of weaponry from peashooters to cherry bombs to destroy the 26 types of zombies before they reach your front door. The different zombies each have their own skills and abilities so each will require a different tactic to defeat them. Obstacles such as a setting sun (which make your flowers close up), flower-eating frogs and other hazards add to the drama. 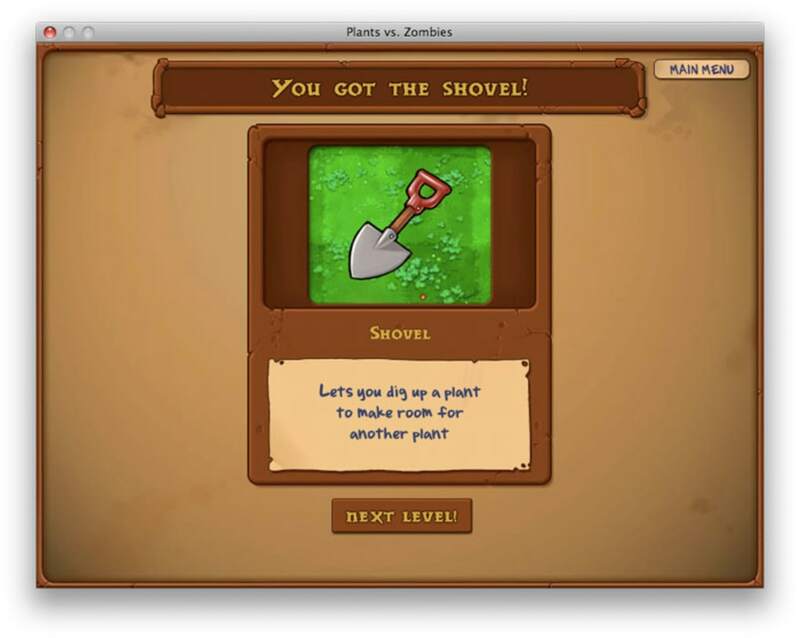 There are five game modes to choose from, namely Adventure, Mini-Games, Puzzle, Survival and Zen Garden. The range of zombies is truly impressive - from 'Bucketheads' to 'Bobsleigh' zombies that require a different plant to kill them off. 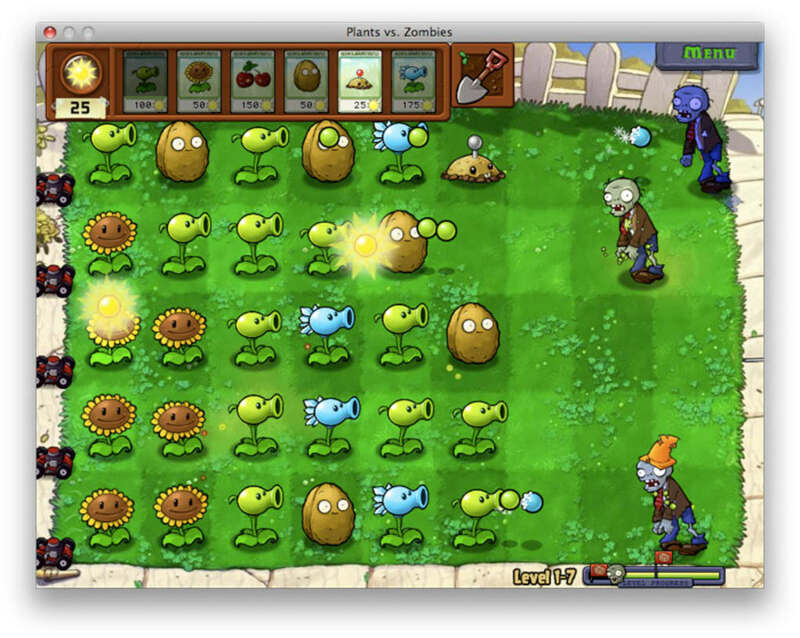 While each scenario is essentially all the same - stopping the zombies crossing the garden - there is enough variation between levels to make Plants vs. Zombies a really good laugh. 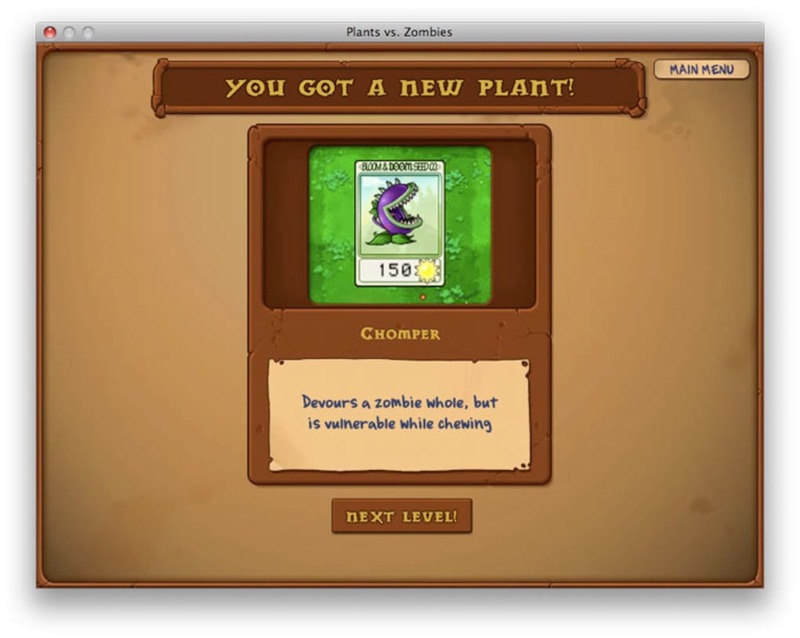 Each level you win means you win a new arsenal of plants to play with and you can collect sunflower seeds as currency with which to buy more for particularly difficult levels. 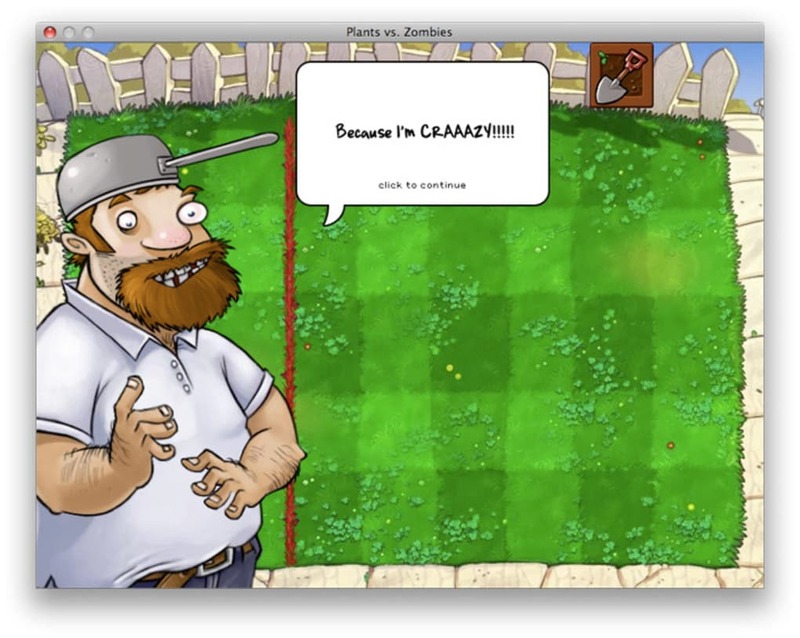 Plants vs. Zombies is a Tower Defense-style game with plenty of character, humor and action, making it much more fun that it might sound at first. 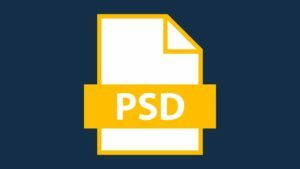 Does not run on macOS High Sierra! Do not download. It will only disappoint you and waste your time. 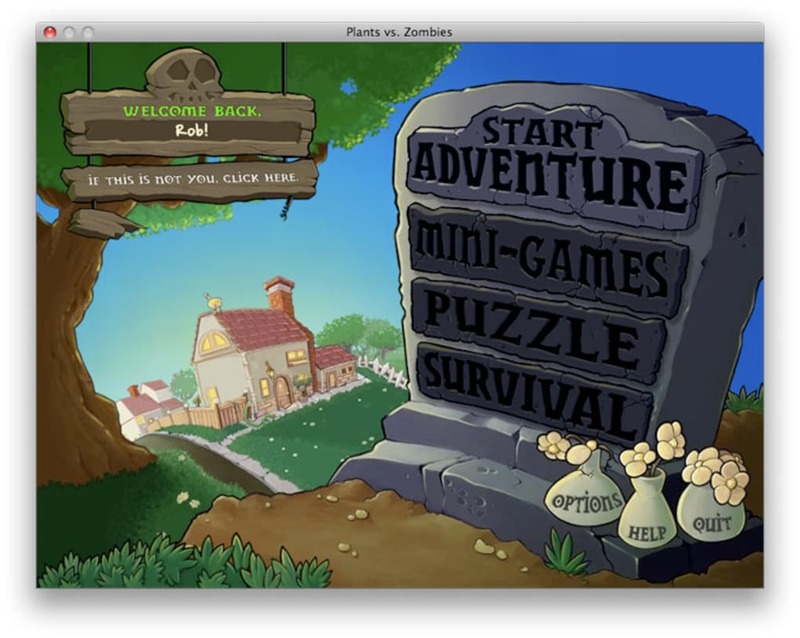 its very entertaining, its the game i play when im on my break. 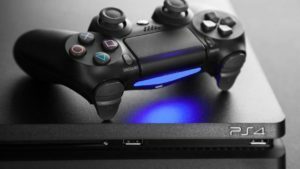 its also exciting and funny.